In Authorea Beta you have a number of ways to insert mathematical notation. 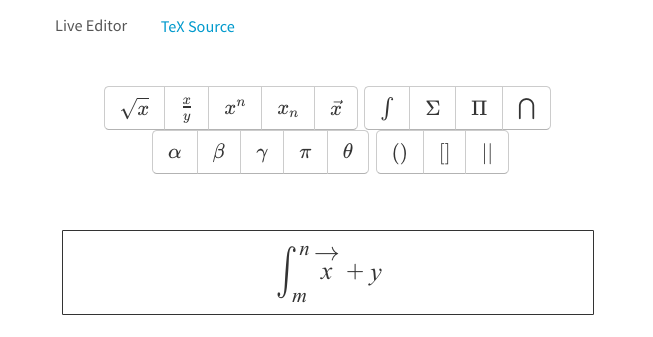 If you are writing rich text, you can click on the math symbol in the toolbar. In the popup window, you can input basic mathematical symbols to compose simple formulae using a visual, easy to use, environment. 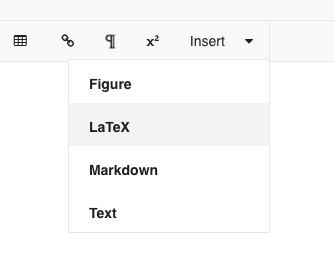 You can also inspect the TeX source straight from the visual editor by clicking the tab at the top of the editor. In the LaTeX block, you can insert an inline formula by typing the equation inside $..$ . For example, type: An inline equation is $e=mc^2$. If you label it with an eq: label, you will then be able to reference it using the reference tool.